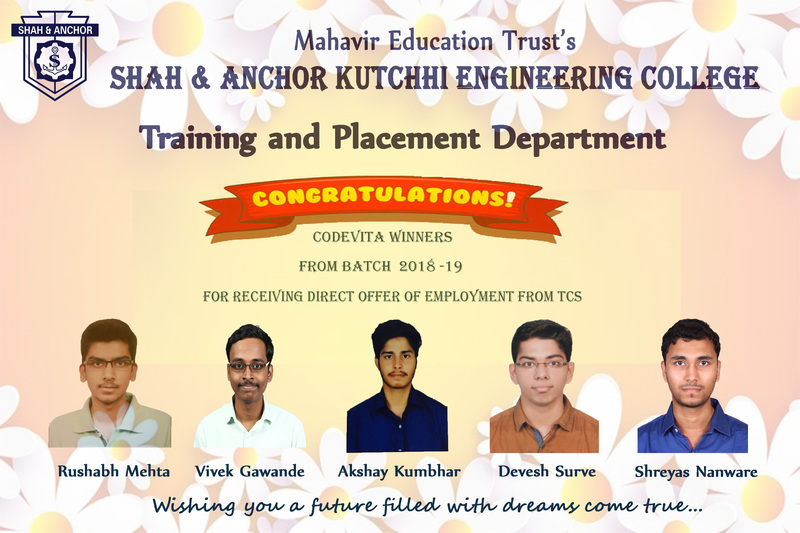 SAKEC Training and Placement Department congratulates our bright minds Mr. Rushabh Mehta, Mr. Vivek Gawande, Mr. Akshay Kumbhar, Mr. Devesh Surve, Mr. Shreyas Nanaware, CODEVITA winners from Batch 2018 -2019 for receiving Direct offer of Employment from TCS. Our best wishes to each one of them in their future endeavors. May TCS be a milestone in your career and the first step to success! !